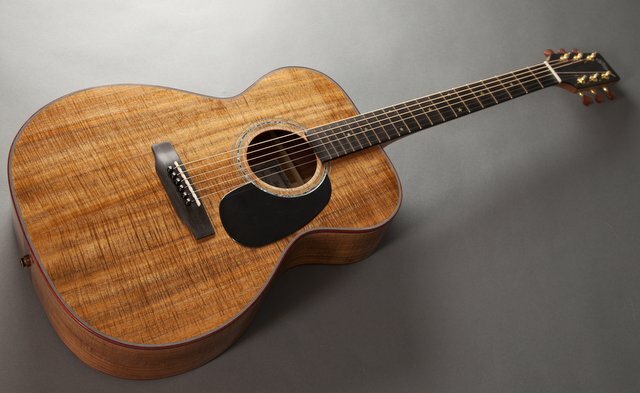 This guitar will be my OM model. 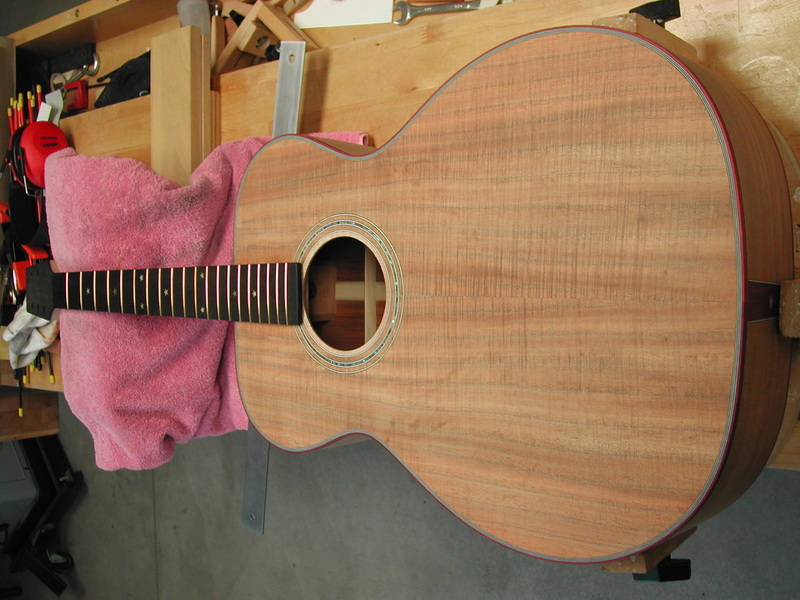 Very similar to a Martin OM but with a smaller upper bout and some difference in internal bracing. 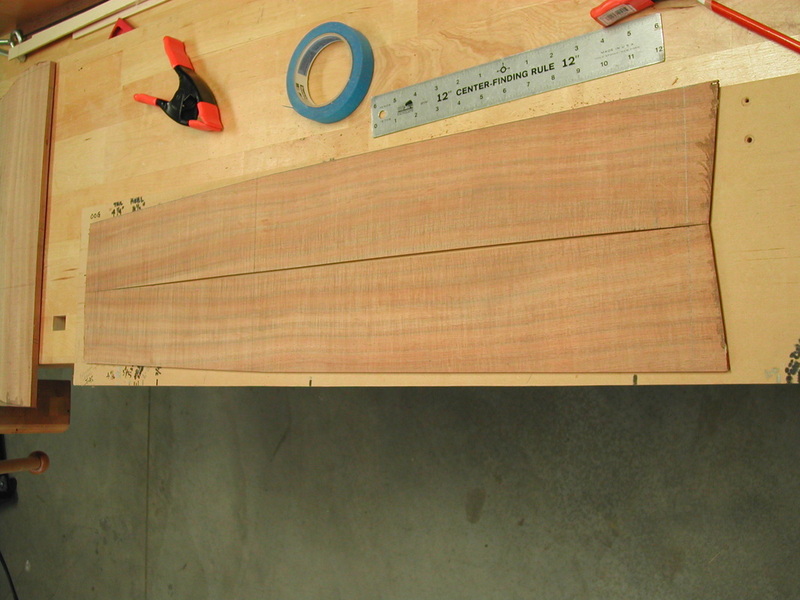 The Scale Length will be 25.4". 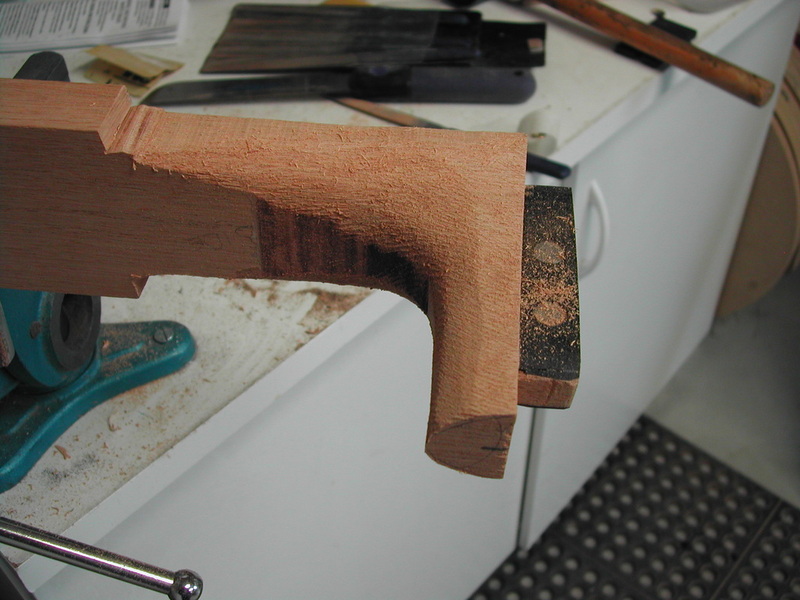 Neck will be Honduran Mahogany with a scarf joint peg head. 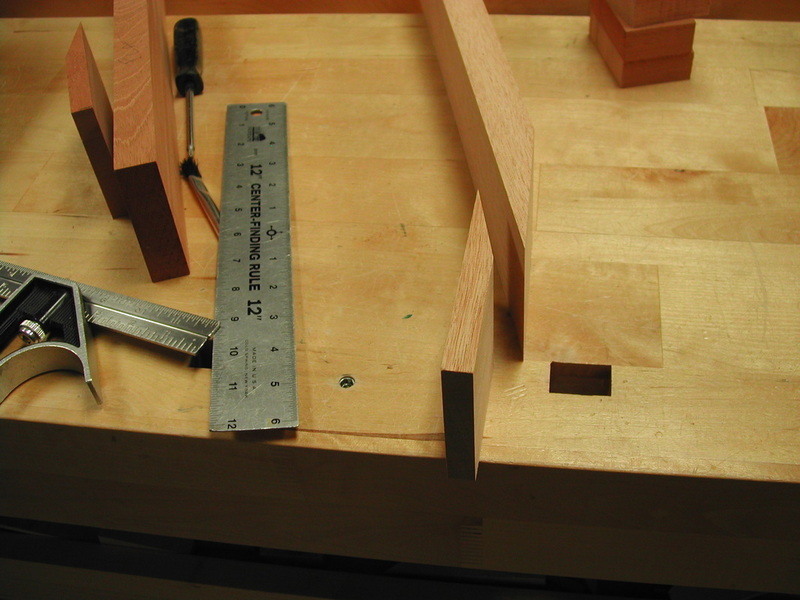 Many of the terms I use like "scarf joint" will be explained when we reach that point in the following build log. 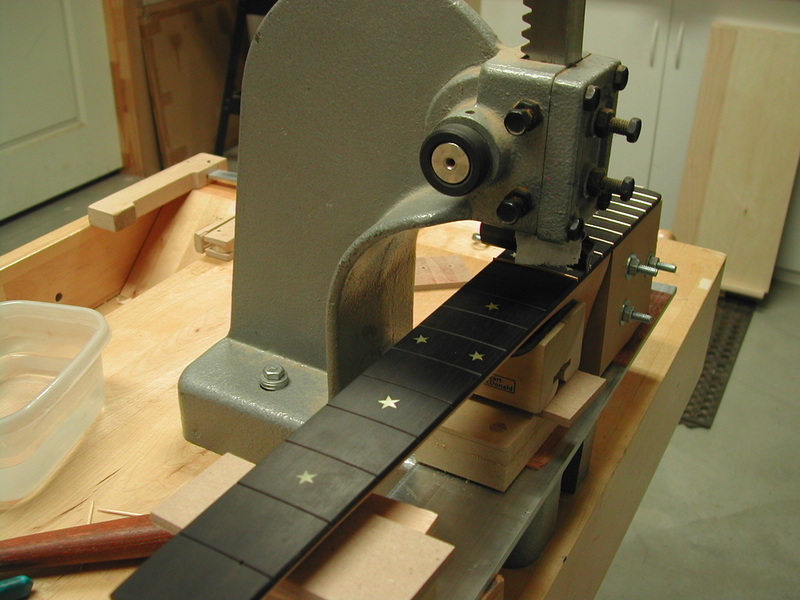 Fret board and bridge will be Gabon Ebony. 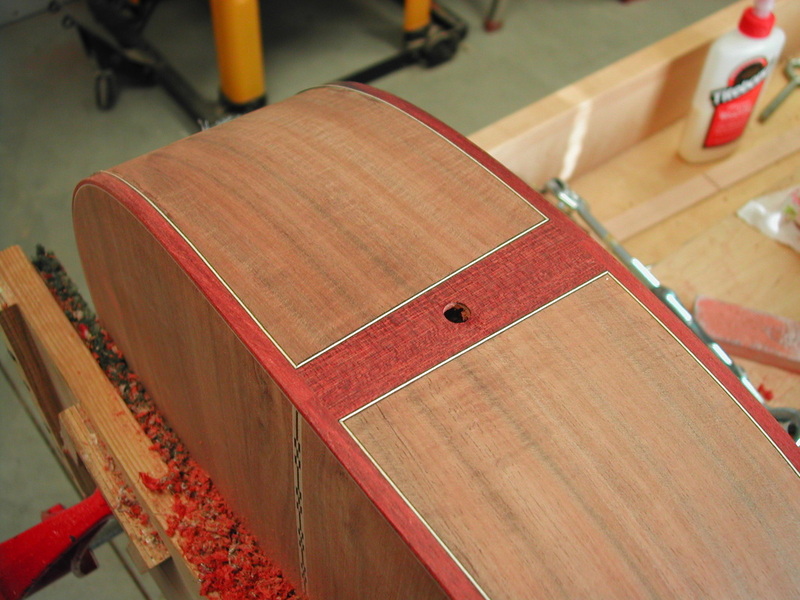 Bindings will be Bloodwood. About 6 years ago I had the remarkable opportunity to purchase some Australian Blackwood from Tasmania. I purchased enough wood for about ten guitars. This wood is high flame or highly figured. All the wood came from the same tree and actually from the same board. I have 10 sets of "flitch cut" Australian Blackwood. 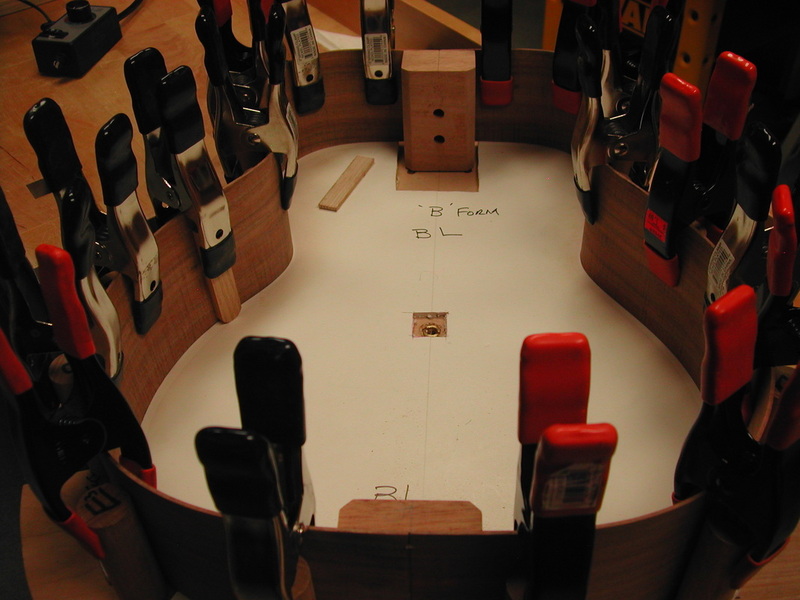 "Flitch cut" means all pieces of wood are cut consecutively from the same board. 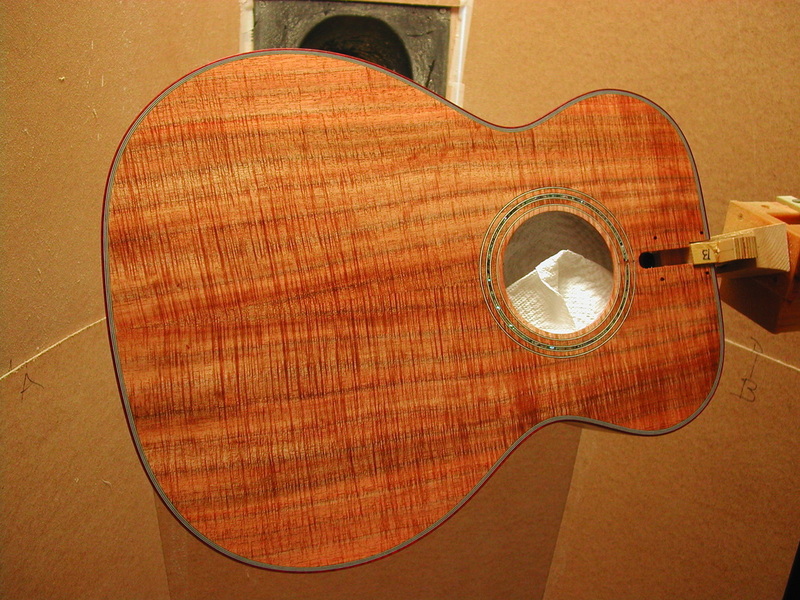 I am using this wood for top, back & sides. 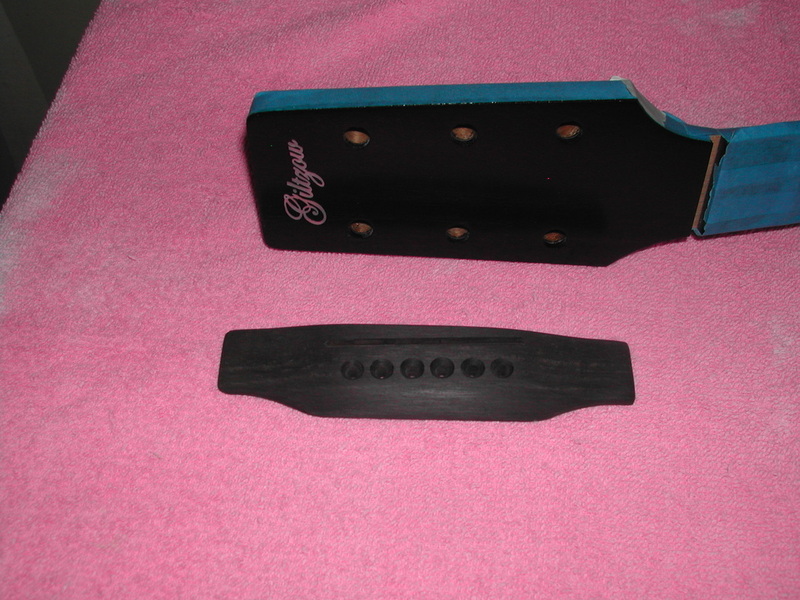 The top, back & sides are "bookmatched" sets. A "bookmatched set" is 2 pieces of wood cut from one piece and then laided open (like a book) with both pieces looking like the mirror image of each other. 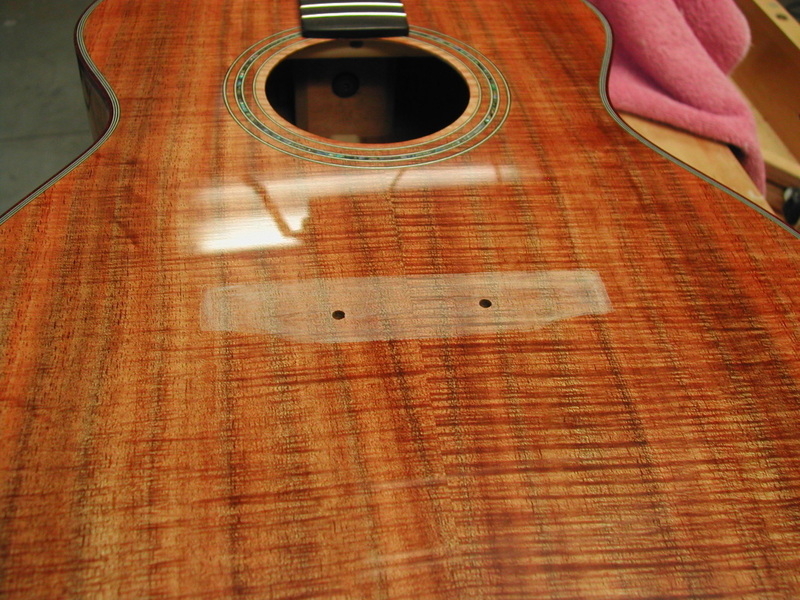 Below is a picture of the "Bookmatched" sides. You can see that they are a mirror image of each other and have been cut from the same board. These two piece of A. Blackwood have been sanded to .080" thick in preparation for bending. 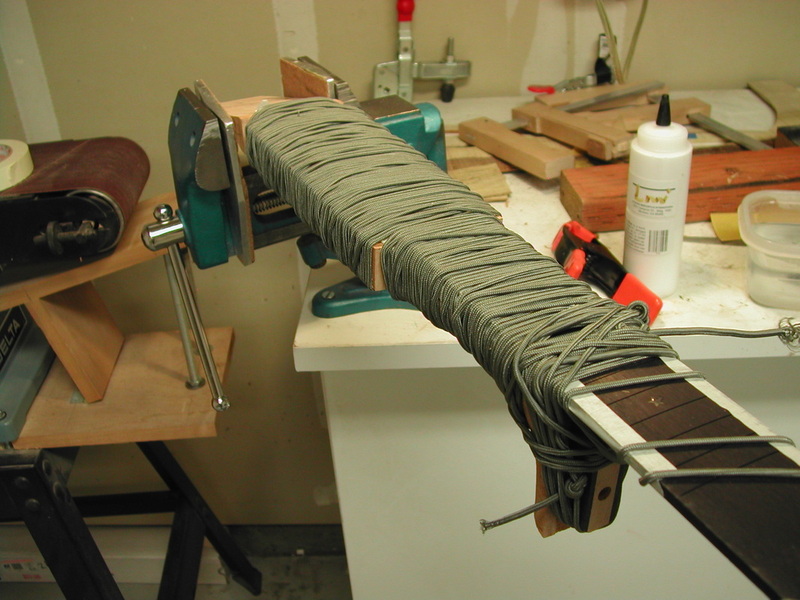 I bend using a bending form and an industrial heat blanket. 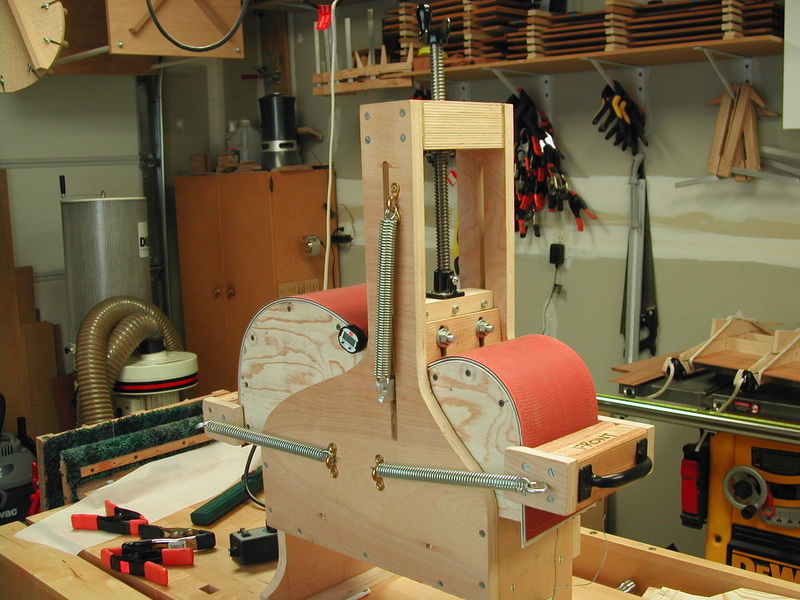 The blanket will allow me to bring the wood to just over 300 degrees F. This heat eases some of the bonding in the wood fibers and allow the wood to be bent against my form. The sides are sandwiched between spring steel slats with the heat balnket (orange color) on top. 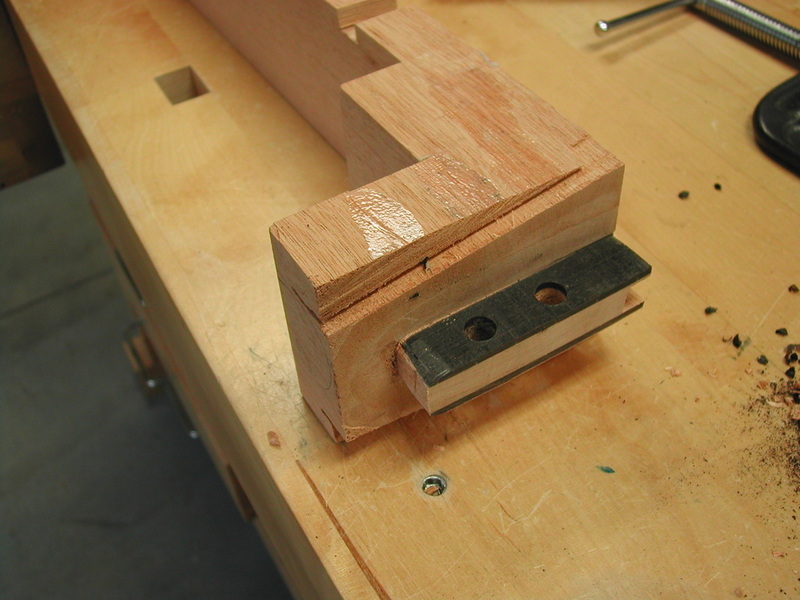 A waist former and two spring forms are used to pull and push the wood to the proper shape. Heat is applied for 15 minutes and the the sides are allowed to cool. Then heat is applied for another 15 minutes and again allowed to cool. 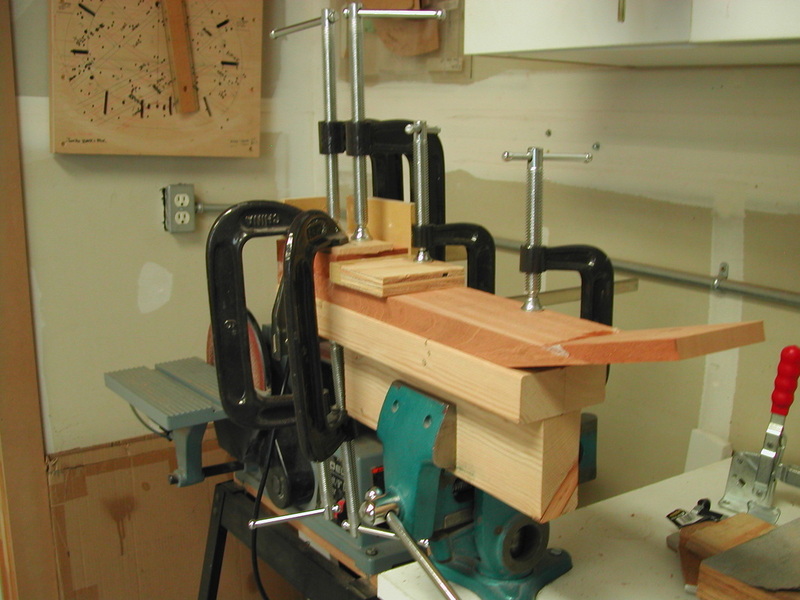 I let each side set for 24 hours and then take them out of the bending form and clamp them in the building form. 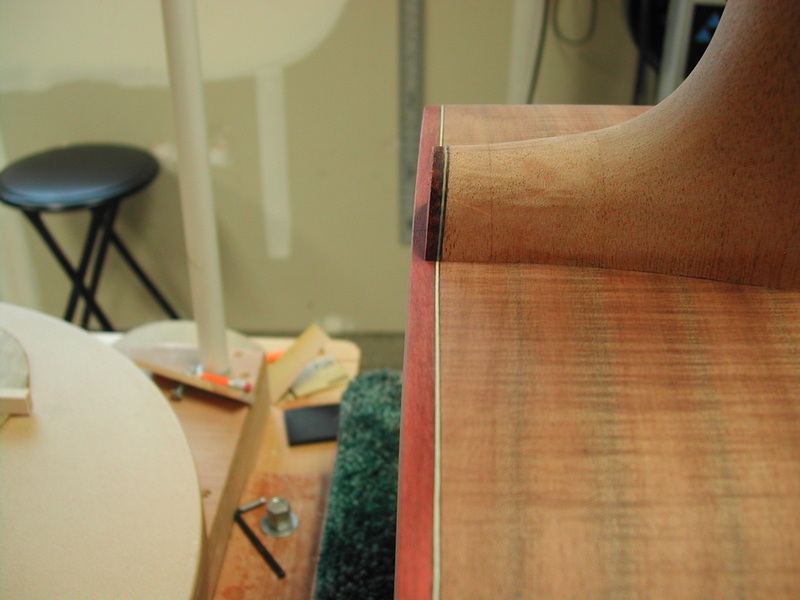 In the above picture, the kerfed linings have been installed and small strips of Mahogany are being glued to the sides. 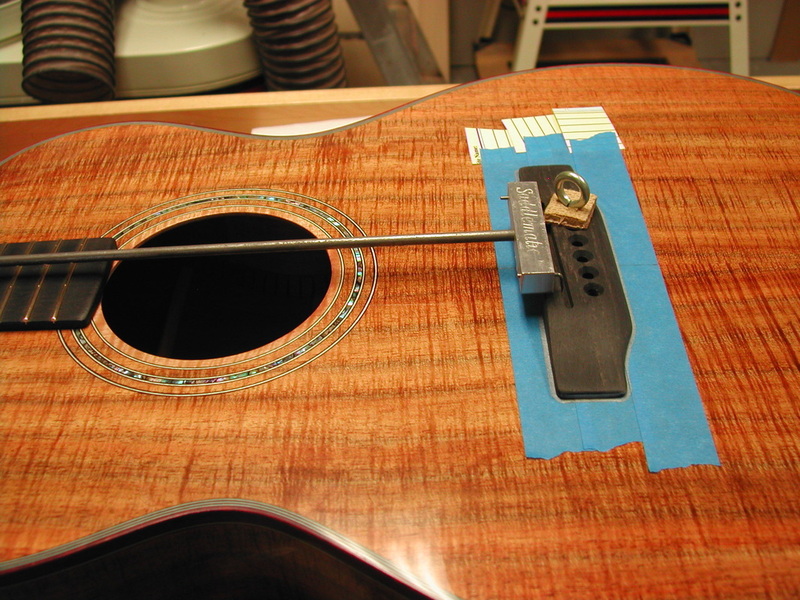 These strips will act as crack stops if the instrument is damaged. 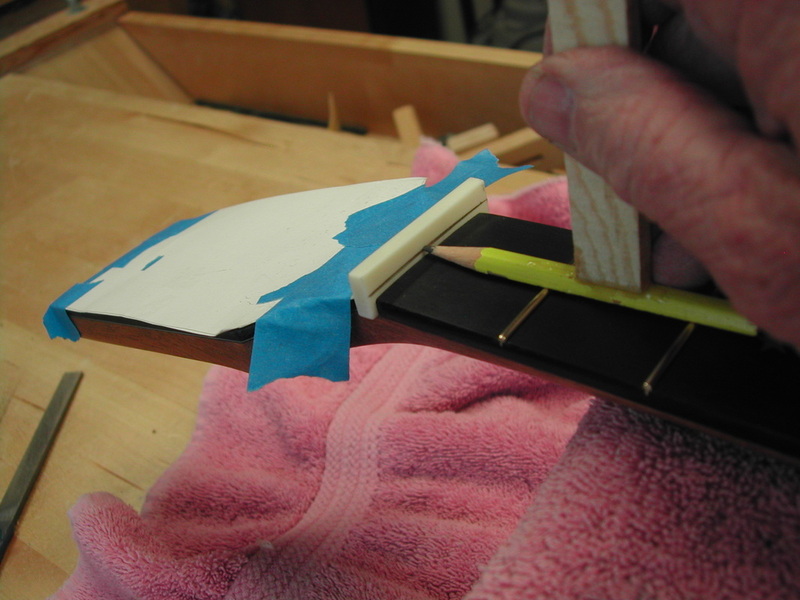 If damage results in a crack to the side, these strips will keep the crack from traveling the entire length of the side and make it easier for a guitar repair person to fix the problem. 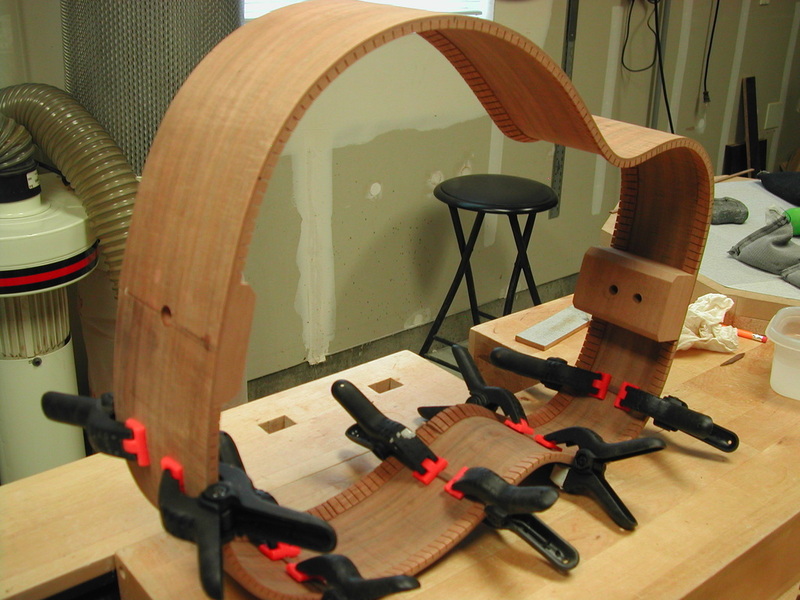 Each brace is carefully shaped to give the back sufficient support and the lightness that will insure a responsive instrument. 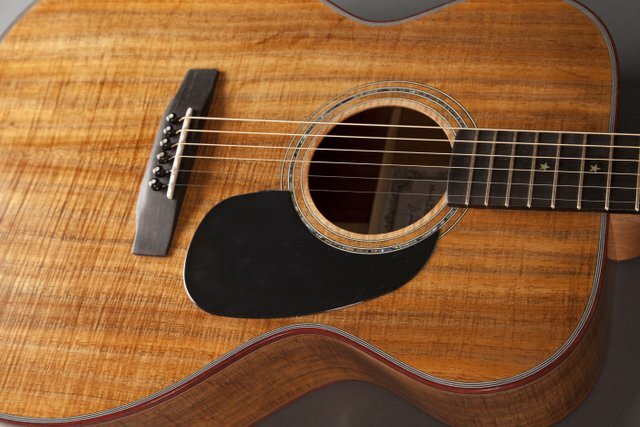 The sound hole rosette consists of 3 rings, with a center ring of blue pau abalone. 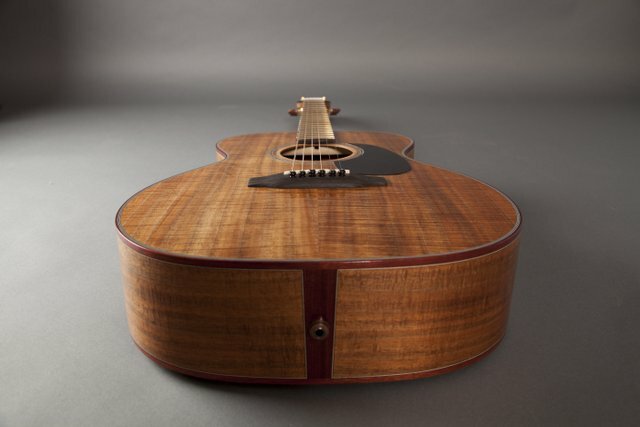 The "bound" soundhole is a new touch for me. I'm pleased with the new look. 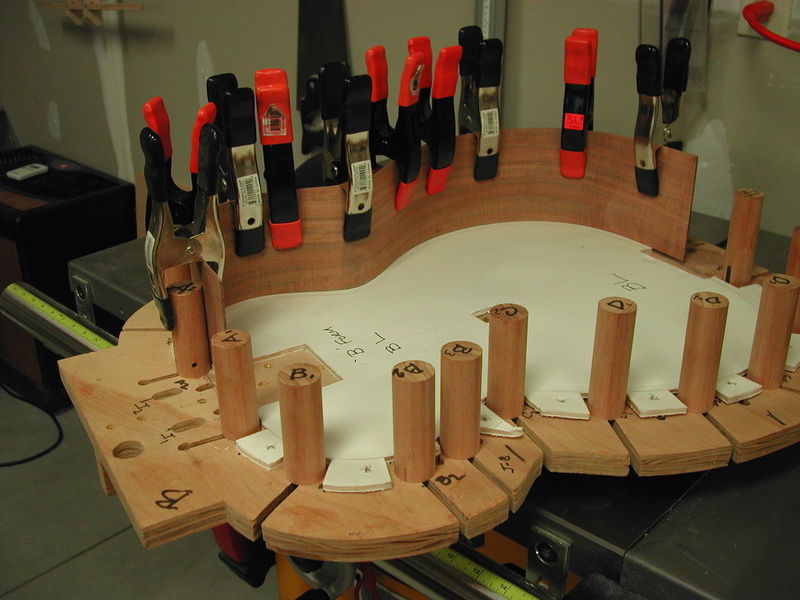 Now the bracing for the soundboard will be glued and shaped. 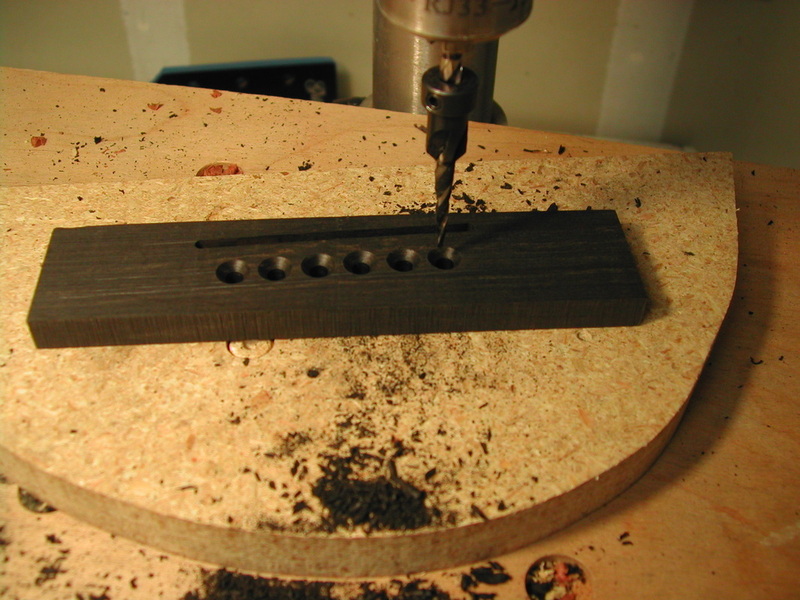 This process is a balancing act between guitar reponsiveness and overall guitar strength. 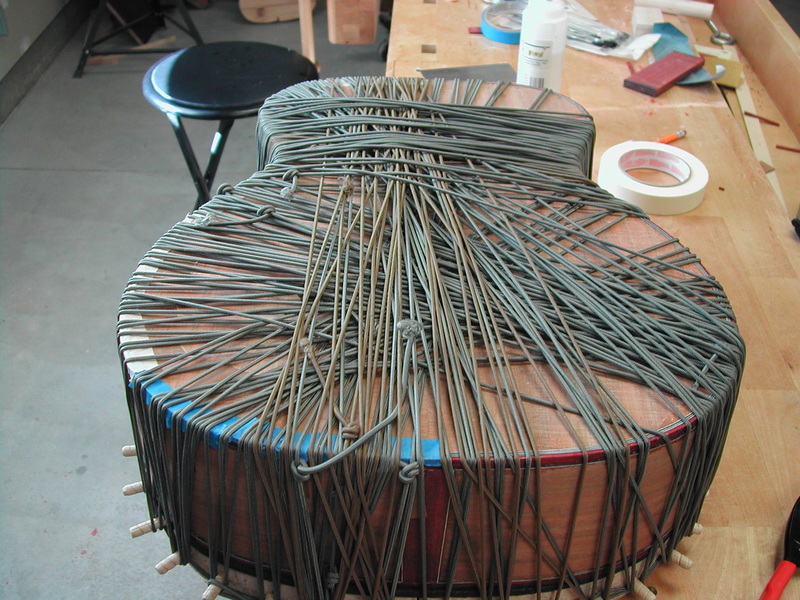 Build the top too lightly and the guitar may last only a few years before the string tension pulls it apart (implosion is probably the correct term). 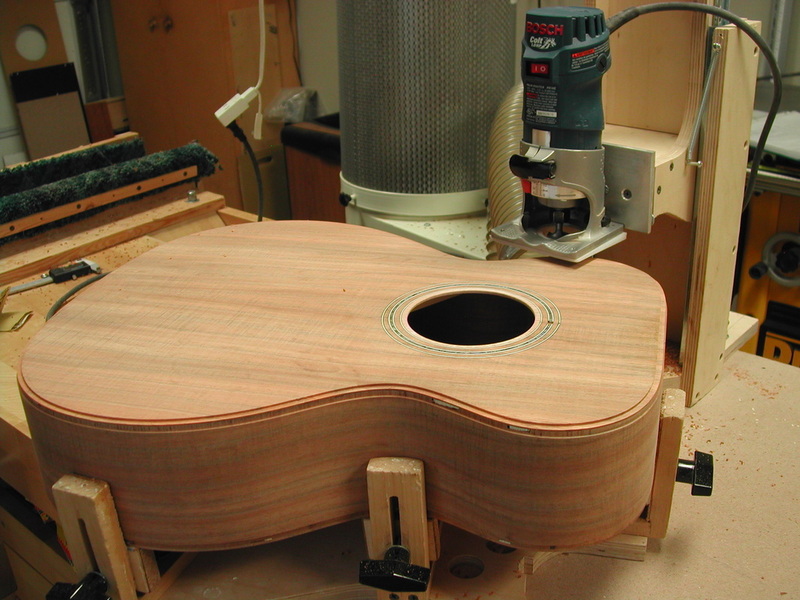 Build it too heavy and you get a top that does not move enough to produce the sound you are trying to get - it sounds dead. So there is a compromise between strength and responsiveness. 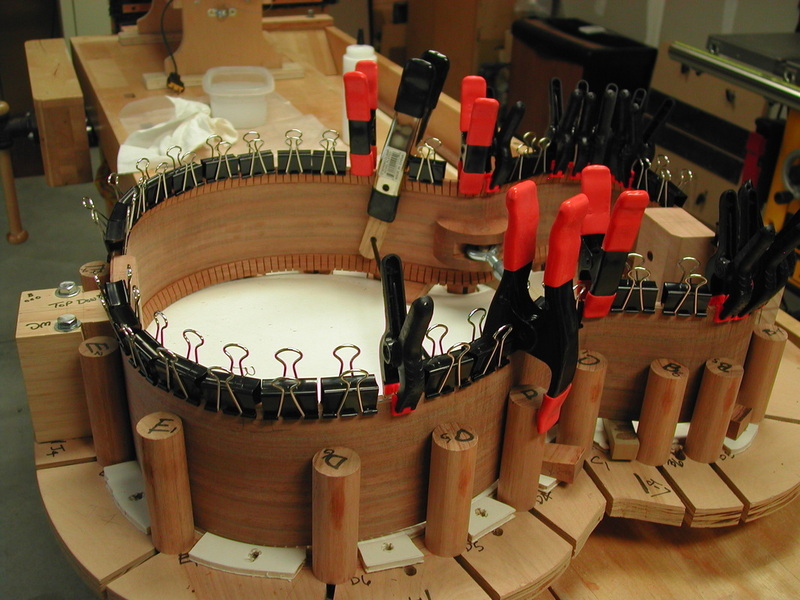 Adequate structural integrity with a light responsive soundboard is my goal. 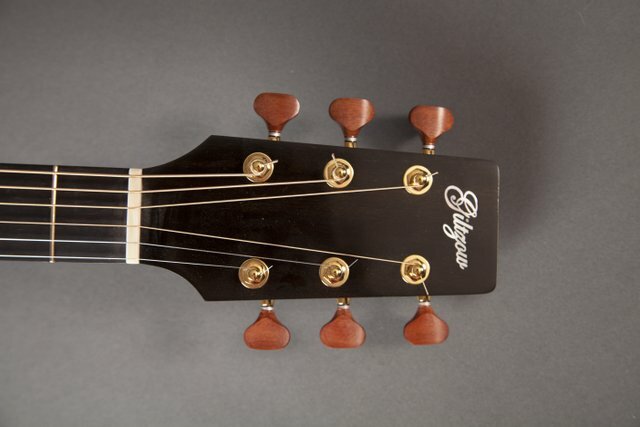 This guitar has been sold. The owner is David Starr. I will continue to document the build here and will post progress on the River City facebook page. I will also continue to answer any questions you might have - just click the contact form button in the banner at the top of this page. 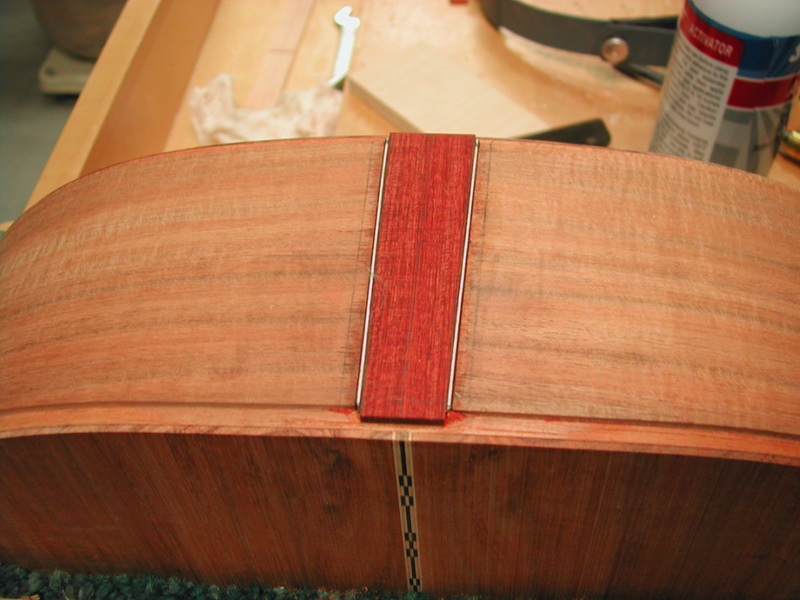 The rest of the top braces are glued and then shaped. During this process I am using several different techniques to determine how much material to remove from the braces and where that material should be removed. Again, working for that adequate structuaral integrity and light, responsive top. 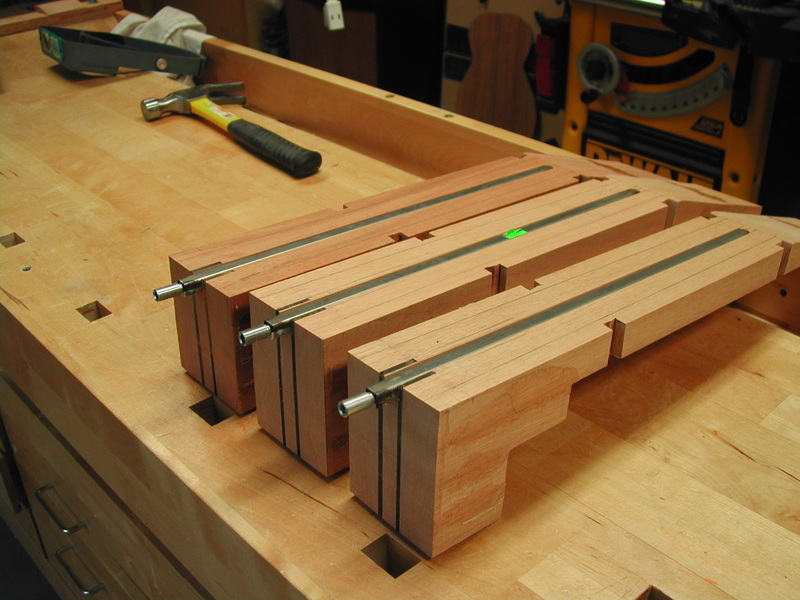 In the above picture are three necks with truss rods installed - one of these will be used on this build. 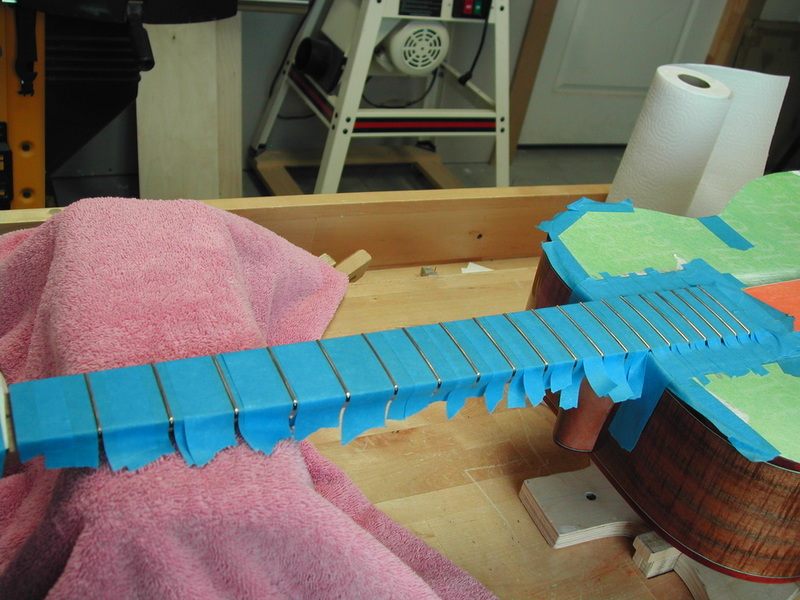 Frets are masked and filed level. Then recrowned and checked for level. 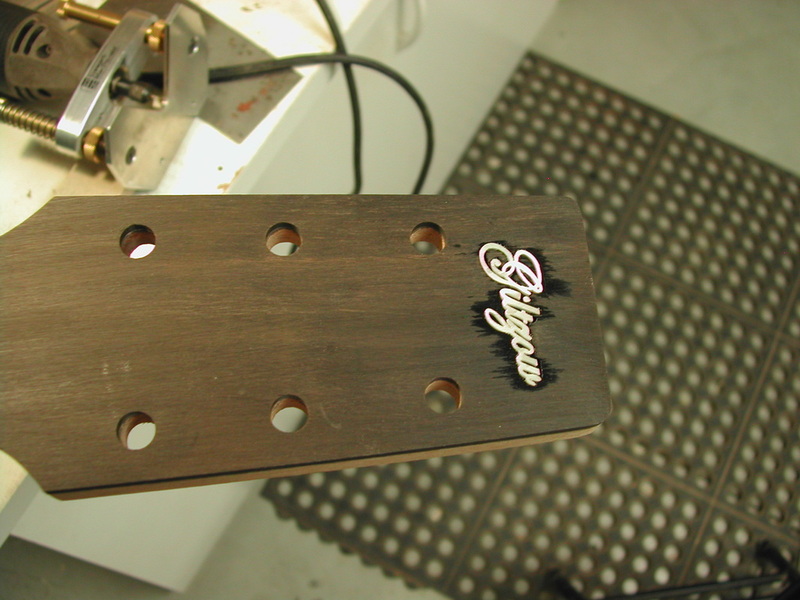 Frets are polished with sandpapers from 220 to 800 and then buffed with steel wool. 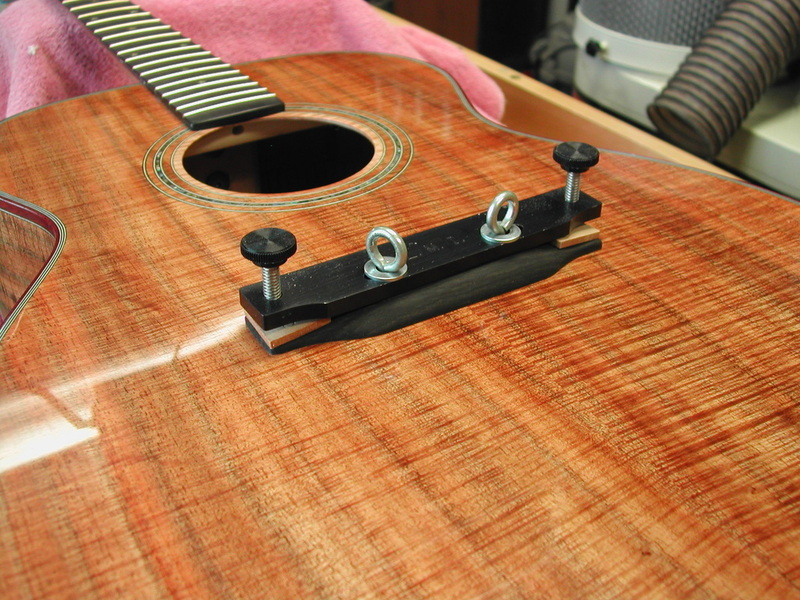 The saddle for this guitar will be an L R Baggs LB-6 passive pickup. 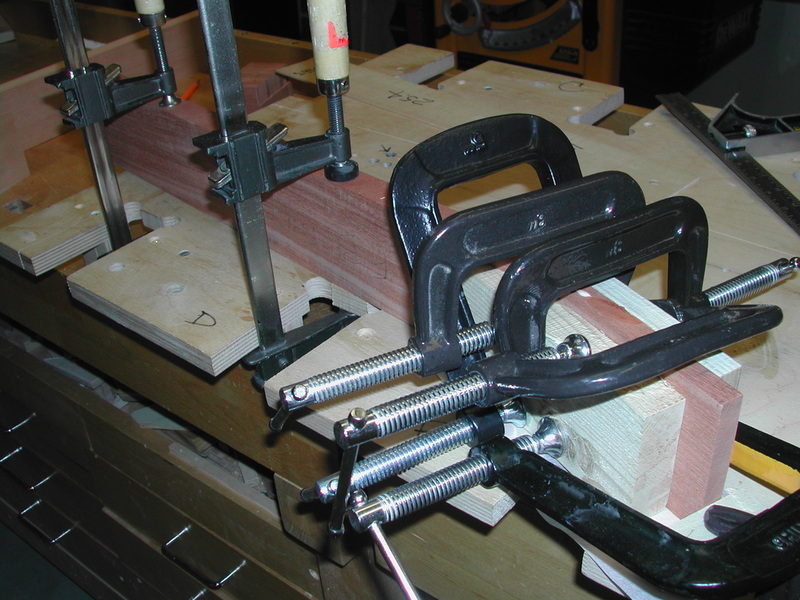 It is shaped and fit to the saddle slot. 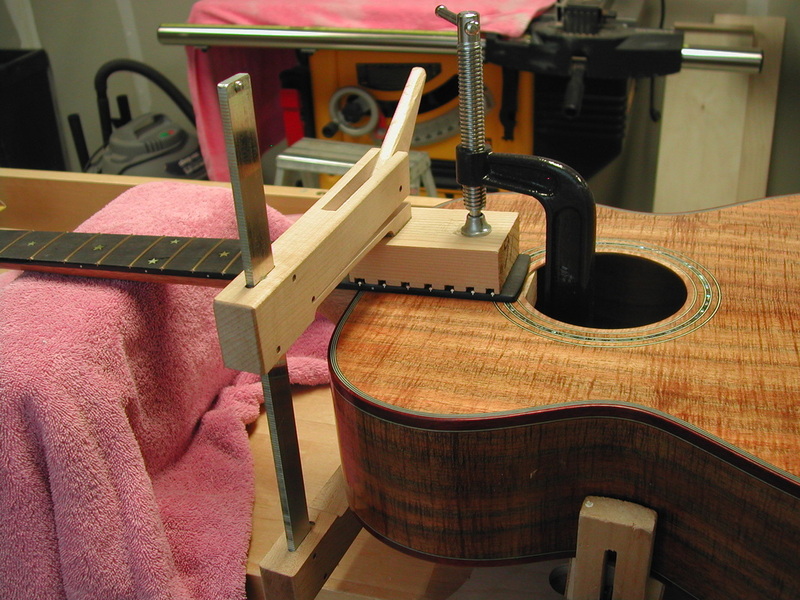 Then the tuning machines are installed. 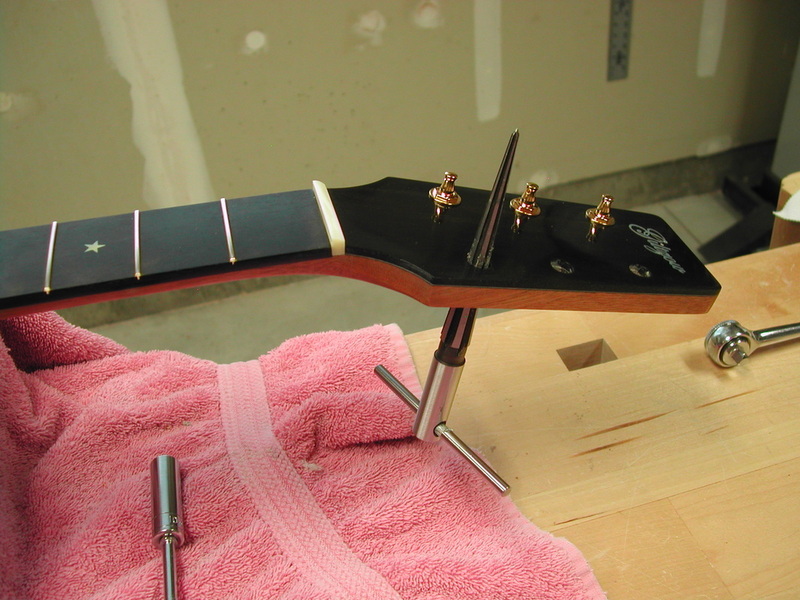 I set the action at the 12th fret by shaping the saddle and set the action at the nut by Increasing the depth of the nut slots.